Social media is known for a lot of things. For many people, it’s known for everything from cat videos to political arguments to connecting with friends. For marketers, though, social media is famous for its ability to grow followers, increase brand awareness, build audience relationships, and more. A lot of industries consider social media marketing a secondary priority because it doesn’t tie to revenue. But for Ecommerce marketers, driving engagement on social media can lead directly to an increase in sales. In fact, certain social media platforms, such as Pinterest, are making it easier than ever for users to buy directly within the platform. That means that it’s simply not something eCommerce marketers cannot afford to ignore. There are many ways marketers can drive Ecommerce engagement and, ultimately, sales with social media. Unfortunately, much of social media is pay-to-play and organic posts from businesses are typically suppressed in newsfeeds. This is especially true if you don’t already have a large and engaged audience on your social channels. 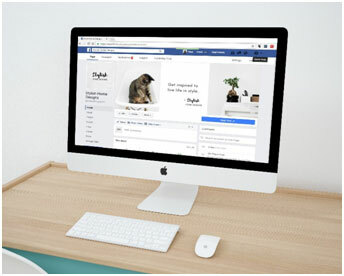 Luckily, advertising on social media is considered by many to be the most effective and most cost-effective method of advertising–traditional or digital. Not only is it targeting more granular on social, but attribution is clearer and users are typically more engaged on social platforms than they are on traditional or digital channels. When it comes to driving engagement via social, there are a few tactics and campaigns that are sure to be effective. Try targeting based on your current audience. This can either take the form of targeting those that are similar to your audience or those that are connected to your actual audience. Whether or not you can use this depends on the social channel. Whether it’s effective depends on whether your current audience is your ideal audience. Still, if your current audience is engaging, it’s safe to bet that targeting those with similar demographics or ties to your audience will result in high engagement as well. Video is the rising star on all social channels. It’s well known that video is the preference in news feeds when posted organically. In fact, it’s one of the few things that a corporate business page can use to break through the noise and through Facebook’s bias. The same is true when it comes to paid media on social–video will take preference. The plus side is that not only will your videos be prioritized, engagement tends to be higher when social advertisements include video. Before you start thinking that video is too difficult or requires too much production effort, remember that, if you’re like most people, you’re likely carrying a production studio in your pocket. That is–your smartphone. While there are standards you should follow to ensure your videos are decent quality, your phone is a great, low-investment tool to get started. Plus, there are tons of free apps that will help you edit your videos and make them look professionally made. 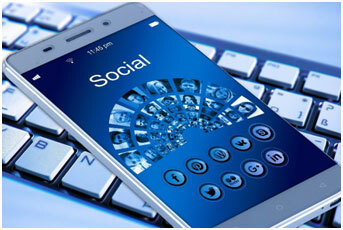 Almost all major social channels offer an option to communicate on an individual basis with your audience. And while it might seem unconventional to utilize private messaging, that just may be the reason that it’s effective. In fact, it’s similar to email in the fact that it’s one of the few spaces on digital on which you can have an individual conversation with your audience members. There are two ways you can do this; you can try the private messaging side of public social channels, such as Facebook or Twitter, or you can focus on private messaging apps, such as Snapchat. If you’re wondering where to focus your energy, the answer is simple. Focus wherever your audience is. The key is to not overdo this because as soon as you do, your audience will start ignoring you. An introductory message when you become connected as well as follow-up messages that are, preferably, tied to their behavior or demographics are ideal. Social media is about more than likes and followers for Ecommerce marketers. It’s about driving engagement that leads to sales, revenue, and business results. And while you might struggle to tie any one specific social post to a sale, it never hurts to keep your eye on the prize. That way, you’ll avoid focusing on non-impactful posts and distracting vanity metrics and instead train yourself to look at the bigger picture with social media marketing. Julie is a proud Social Media junkie. Experienced in Social Media Marketing and SEO, she has been writing for automaticlikes.net for 3 years. Automatic Likes is dedicated to increasing likes, shares, and increasing user engagement. When Julie isn’t writing or helping create positive Social Media experiences, she enjoys comic book conventions and reading.